Thank you Michelle Williams, for saying exactly what I’d tell my kid after taking them to see this movie in theaters! 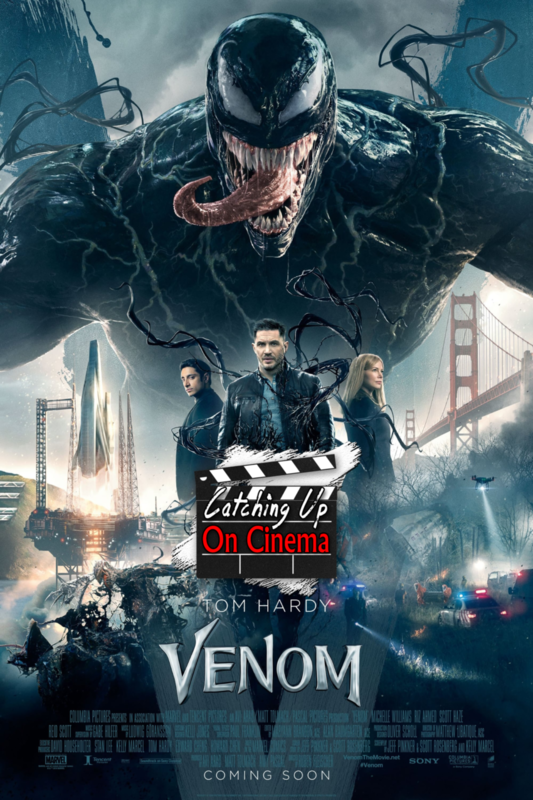 In this special New Year’s installment of Catching Up On Cinema, Kyle and Trevor review Sony/Marvel’s loathsome pseudo-Spider-Man film, Venom (2018)! Tom Hardy behaving like a crackhead on acid! Venom, minus the iconic spider insignia and personality! Riz Ahmed as a villain that doesn’t know what the hell he wants! Michelle Williams, there to push a button at the climax and little else!